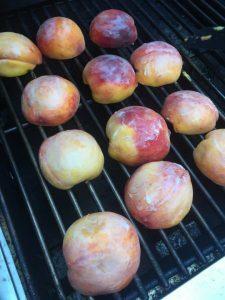 Wash peaches, and slice in half, removing pit. Mix mascarpone cheese with honey and cinnamon, and set aside. 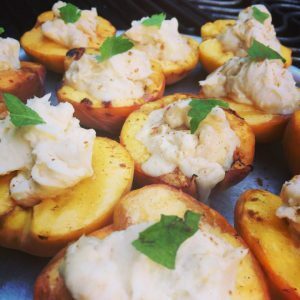 Brush peaches with oil or melted butter. 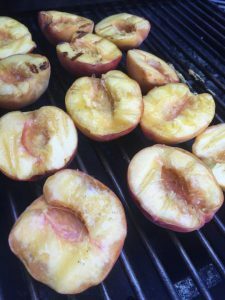 BBQ peaches on medium-high heat grill, about 3 minutes or so per side. 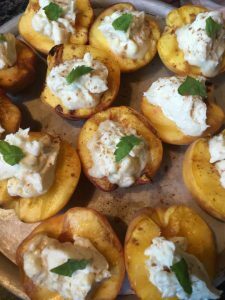 Top peaches with cheese mixture, and enjoy.